For a moment, allow yourself to measure vibrancy by the delicious sweetness of an excellent treat. And, why would you not? Pike/Pine, the very model for vibrant, urban renewal, sports a fleet of shops dealing sugar and butter concoctions. This week, there’s an uptick in vim on north Broadway. While gearing up for a big June 4th grand opening celebration, The Confectional, quietly, is already open for business near the intersection with Roy. And there is plenty of butter and sugar inside. These aren’t the words of a complaining business person. Verano and co-owner Destiny Sund decided to open last Thursday to give the cheesecake shop a chance to acclimate to its new Capitol Hill environment. 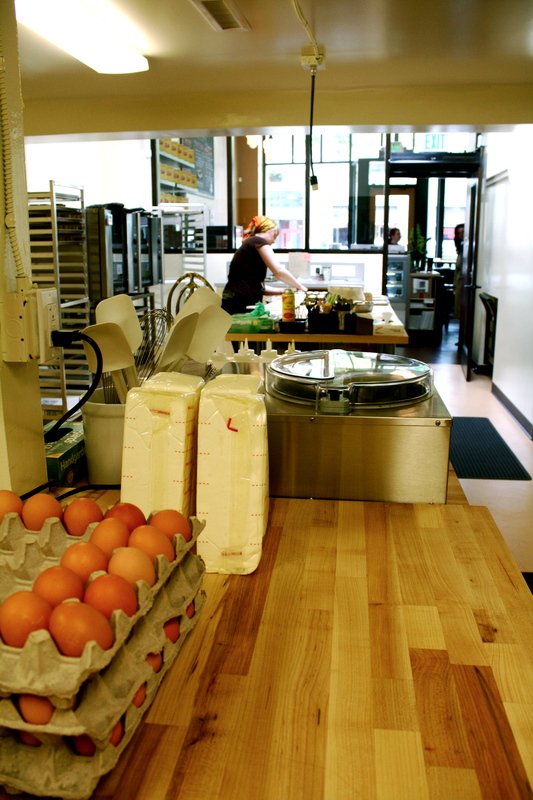 Their first store has been doing business in Pike Place Market since December 2006. While the menu of cheesecakes and drinking chocolates is the same you’ll find at the market, logistical issues like hours require some local experimentation. Operating outside the market where merchants face strict rules about what they can sell will open up some new avenues for Confectional but most important is the new, much larger bakery space. 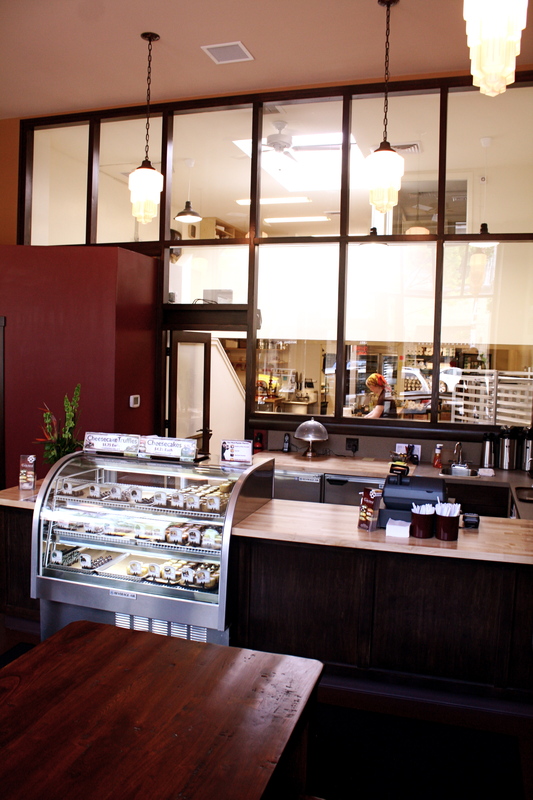 The newly renovated Broadway shop has a small sit-down area, a display counter full of mini cheesecakes and truffles and a huge kitchen where production for the Confectional business has shifted. 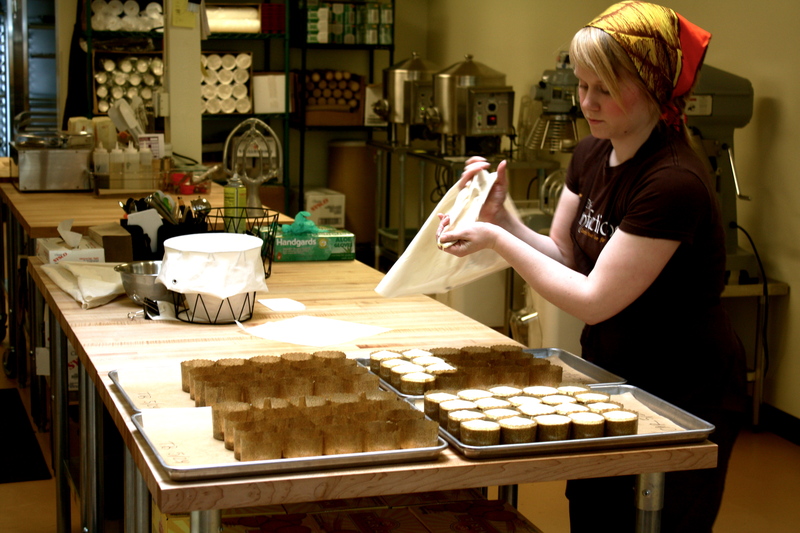 The $115,000 construction budget of the former 4,400 square-foot retail space has created a working bakery in the middle of Broadway that will produce anywhere between 500 and 1,000 cheesecakes on a give day. Four new employees joined the business with the Capitol Hill expansion. Verano says this time of year their wedding business is just starting to settle down. They found the location, Sund said, out of luck when they were first starting their expansion plans and still looking to buy a space. They had a tough meeting at Roy Street Coffee where they learned it wasn’t going to be easy to find what they were looking to buy. Walking back to the car, they saw a “for lease” sign hanging at 618 Broadway E.
As far as the competition does go, Confectional puts up a pretty good fight. 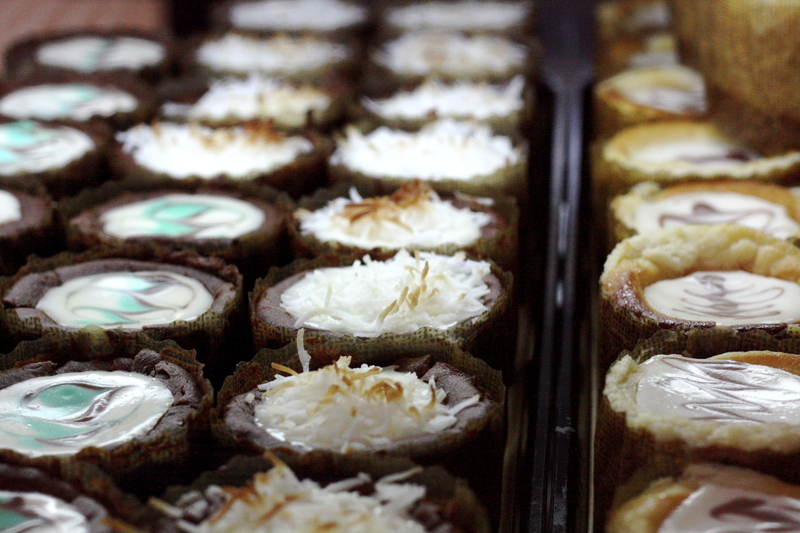 The shop typically offers 14 different varieties of cheesecakes ranging from basic NY-style to Mexican Chocolate. There’s a sugar free variety and customers can special order gluten-free crustless cakes. Going vegan, however, is another story. “If we did vegan here, it would have to be $8 a slice,” Verano said. “Vegan cream cheese, vegan butter.” Queue CHS commenters saying, yes, they’d pay that. Sund said they are also considering teaming up with other local restaurants and businesses on Broadway for “proprietary” flavors. Apparently there’s already something underway with the across-the-street De Luxe. Confectional’s northern neighbor Poppy could also be a candidate. Verano and Sund say they envision visits to The Confectional as a brief stay to enjoy a treat or, better yet, grabbing a cheesecake to eat on a stroll down Broadway. 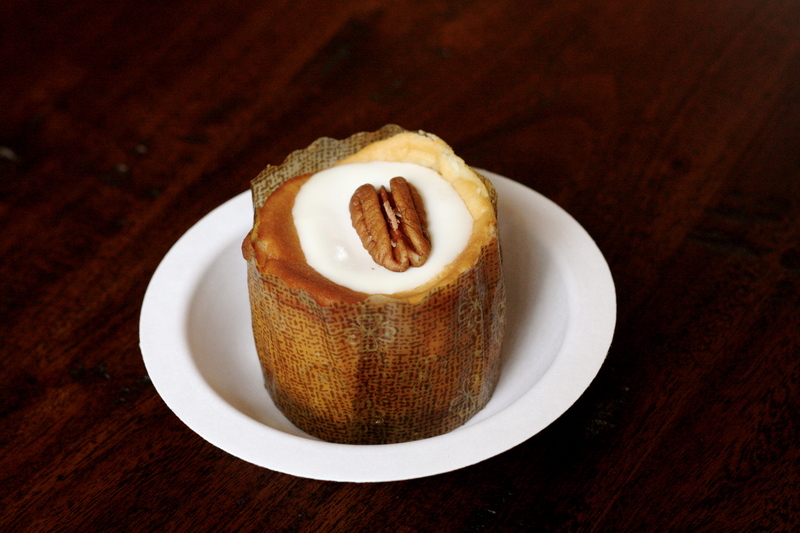 Verano also promises frozen hot chocolate shots — like a rich Fudgecicle — in summer. For now, you’ll find The Confectional open for business during most days as the June 4th grand opening approaches. Hours, like we said, are still being worked out. I didn’t realize they had a soft opening, I will have to check it out! However, I do love how every time this place has been mentioned and that all the dessert places are on Pike/Pine and that north Broadway doesn’t have any, that Dilettante doesn’t count somehow. Caught me before I figured out a good way to work Dilettante in somehow. I realized I’d neglected to include and they do deserve a presence. Working in a note now. To bad they make me suffer from Citalopram side effects and make me fat. I stopped in earlier around 6pm and there was only one couple inside. The girl at the counter was really cheery and they also had a sample of a delicious lemon cheesecake. I don’t think I could eat an entire mini cheesecake on my own but the truffle was a good size, very rich! These cheesecakes are awesome!!!! If you haven’t tried one, give it a try. I have to travel from Vancouver, Wash. to get them, if I don’t have them delivered FedEx. Like I said, have one or maybe two, well heck take a six pack home and share with some friends. They will love them as I do.